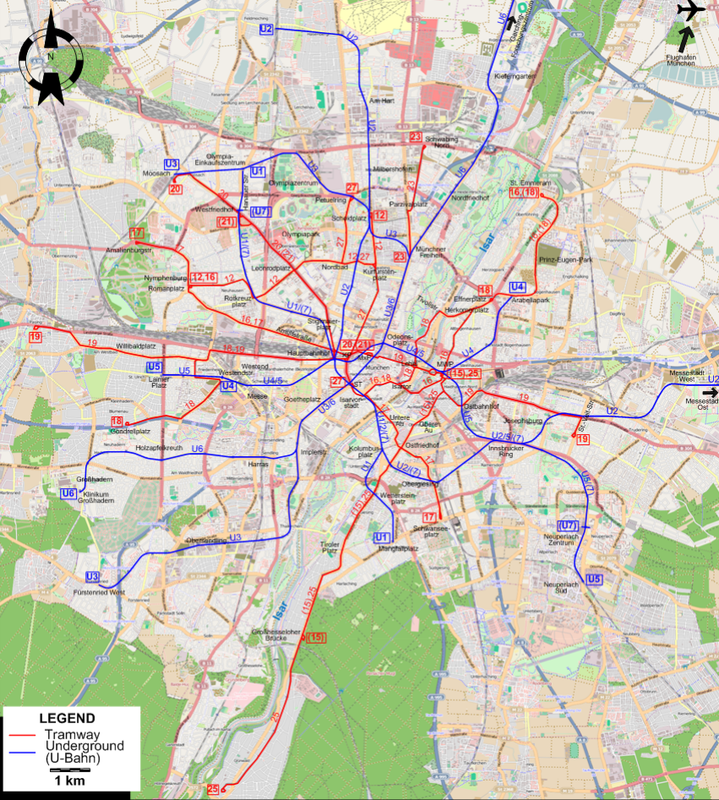 The Munich system after the extension of U-Bahn line U3 from Moosach - Olympia-Einkaufszentrum to Moosach (11 Dec. 2010) and the extension of tram line 16 from Effnerplatz to St. Emmeram (11 Dec. 2011). Underground (U-Bahn): ca. 103 km. Horse tramway: 21 Oct. 1876 - 31 Oct. 1900. Steam tramway: 9 June 1883 - 17 July 1900. Electric tramway: 23 June 1895 - today. Underground (U-Bahn): 19 Oct. 1971 - today. 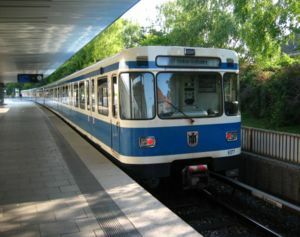 S-Bahn: 28 May 1972 - today. 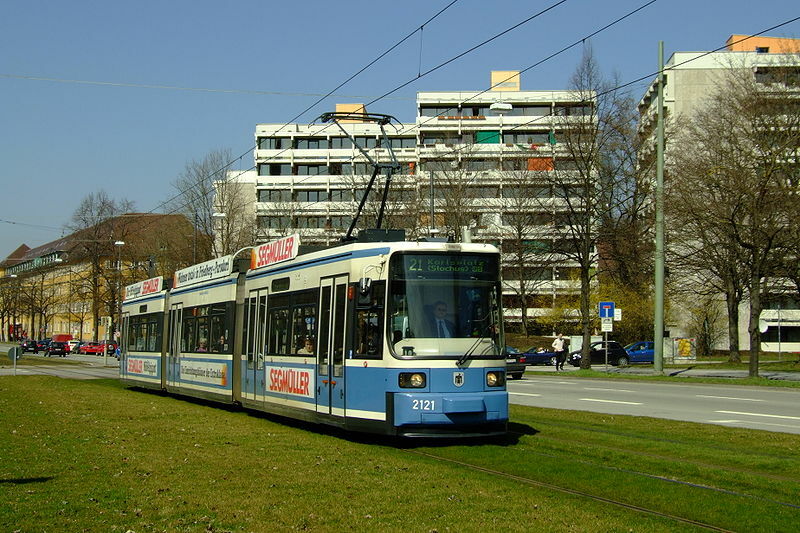 There is a museum devoted to the history of public transportation in Munich called the MVG Museum (Museum der Münchner Verkehrsgesellschaft mbH). 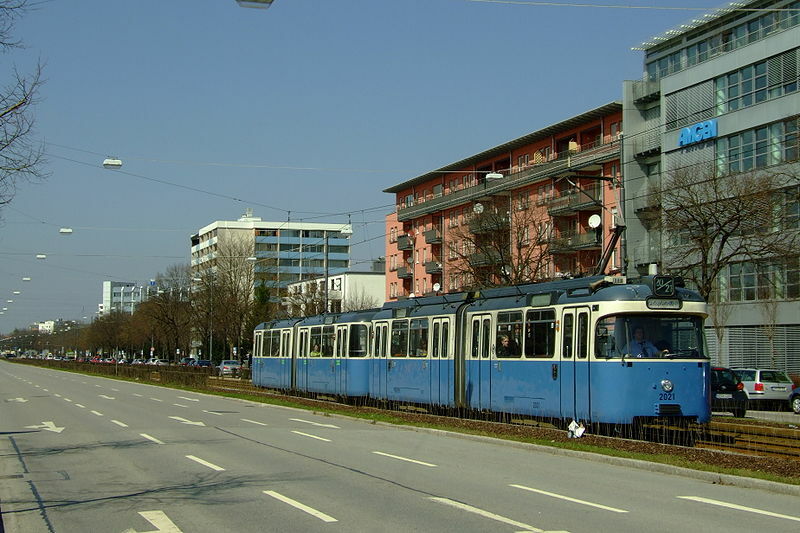 It has a large number of preserved tramcars. The museum is on Ständlerstraße in Perlach, southeast Munich. Hendlmeier, W. Handbuch der deutschen Straßenbahngeschichte: 1. Band: Text und Abbildungen München: Selbstverlag [Author], 1981. Klemenz, M.A. & Romero, F. "Munich: Optimisation through operational simulation". 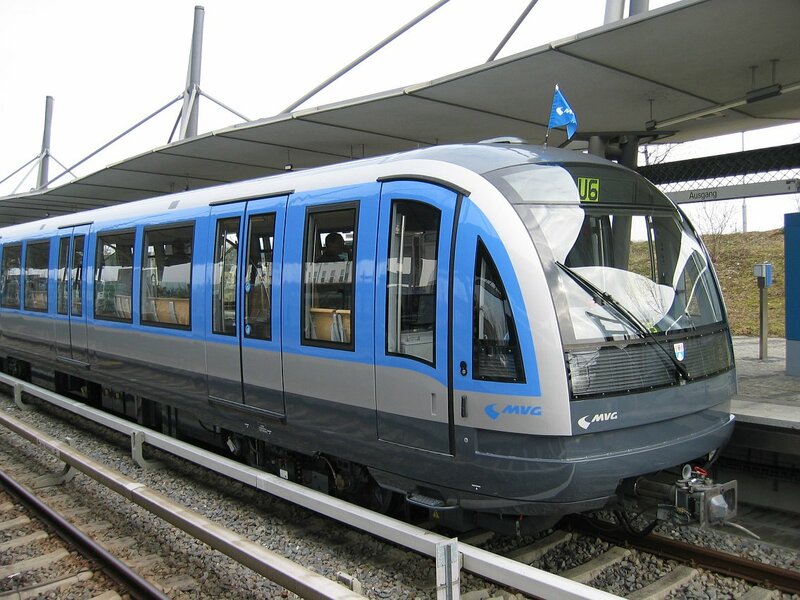 Tramways & Urban Transit, July 2014 (77: 919), p.289-292. Krauß, T. Die Münchener Trambahnlinien: Eine Chronik von 1876 bis 1991. Berlin: Arbeitsgemeinschaft Blickpunkt Straßenbahn e.V., 1992. "More mileage for München" Modern Tramway, March 1965 (28: 327), p.69-71. 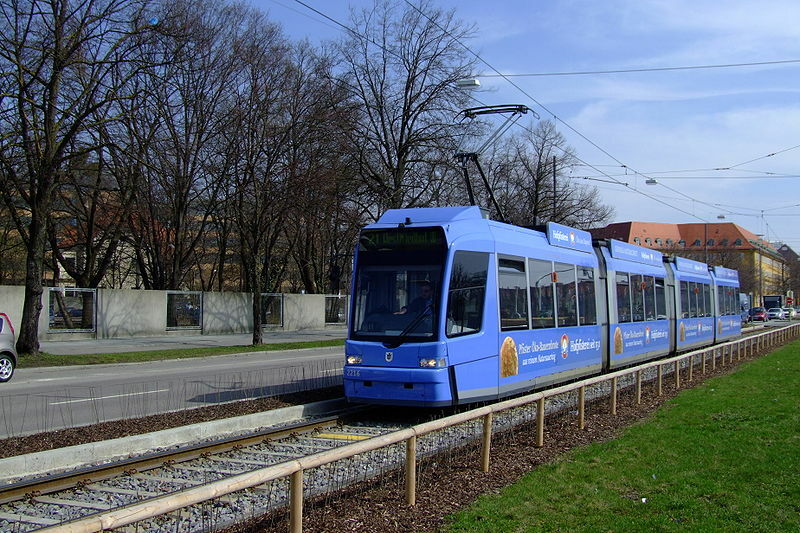 Onnich, K. "The Munich tramway: A calamity without end?" Light Rail & Modern Tramway, July & Sept. 1993 (56: 667 & 669), p.171-175, 227-231. Pulling, N. "Systems Factfile No.38: Munich, Germany." 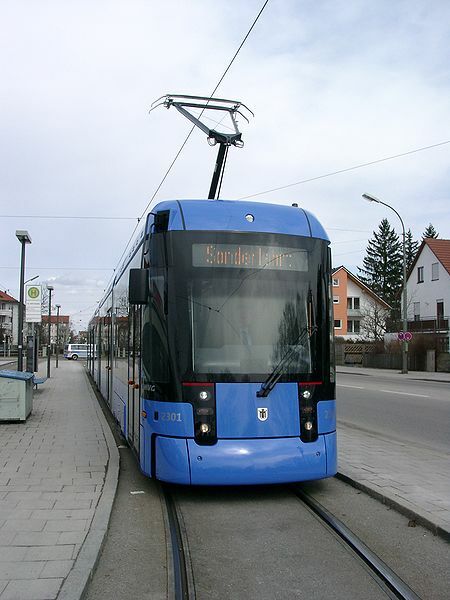 Tramways & Urban Transit, Nov. 2010 (73: 875), p.419-421.